Welcome to the Tigers and Jaguars! Mr MacPearson and Mr Isherwood will be filling this page with exciting class news, pictures of things we’ve done and more. Do you have any ideas for this page? Why not let Mr MacPearson and Mr Isherwood know! We will all be going to visit our new schools this week! This week we have started learning about adaptation and Evolution. Drug Abuse Resistance Education course. this week we are focussing on our writing. with the good people from E-on. We are working hard and preparing for our SATs! We are doing very well and are feeling confident! SATS, SATS and more SATS! Nearly there! Still working hard and revising for SATS! We are preparing for SATS with lots of practise and writing flashback stories about the end of the Mayan civilization. We've just started learning about the Mayans. The Tigers are rehearsing their class assembly. and the wonders and dangers of the jungle within. We are writing our own Amazon survival stories. Year 5 & 6 came first in the rowing competition! survival skills, including making fires! and how living things are classified. We will write a fact file about our own fictional Amazon animal. 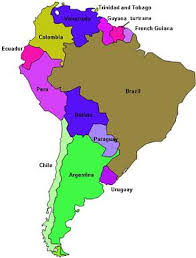 a country in South America. 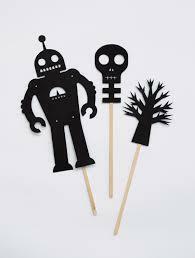 and will be performing our own shadow puppet play. 'How to be a Spy'! We studied Alan Turing as part of anti-bullying week. This week we are commemorating the centenary of WW1 by writing WW1 poems. We had a wonderful visit to the Holocaust Centre in Laxton. We learned all about World War 2.
but you can have a look at their website here. We are making bottle rockets and writing our own superhero stories. and writing biographies about their lives. We had a wonderful trip to Aberdovey! Go to the news section and Events section to see the photos. This week we have started our Superheroes project, making news report videos. We are in Aberdovey this week on our Residential!